It’s that time of year again, when we usually recycle our traditional New Year’s resolutions. “Lose ten pounds” and “eat healthier” come to mind, but our Plano, TX, podiatrist suggests making a different kind of resolution this year. Your feet are usually the most neglected part of your body – read more for some ways you can be good to your feet in this coming year! Taking care of your whole body during the coming year is a worthy goal, of course, but having healthy feet can help you successfully reach your objectives. 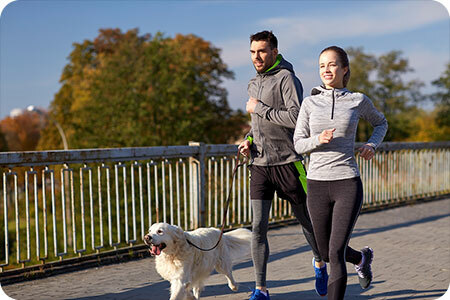 Whether you are planning to train for a sporting event, lose weight, or just stay active and fit, our podiatrist in Plano suggests that focusing on your feet will help to get you there. Our Plano, TX, podiatrist says if your resolution is to exercise more, an activity like running builds and strengthens the muscles in your feet. Your exercise regimen can also help keep excess weight off, which means less daily pressure and force on your feet. It is important, however, to gradually build your fitness routine – overworking your feet can cause pain that can quickly derail your new year’s resolution. According to our Plano, TX, podiatrist, wearing “sport-specific” shoes provides the appropriate support for your feet for different types of athletic activities, such as aerobics, tennis, or running. Another tip is to take the few extra seconds to untie your shoes, advises our foot expert at Dallas Podiatry Works – properly maintaining your shoe’s structure provides appropriate, ongoing support for your foot. Our podiatrist in Plano also recommends that you resolve to choose function over fashion this year. Selecting comfortable, supportive shoes with plenty of wriggle room over trendy, tight-fitting footwear can help prevent painful foot problems, such as tendinitis or heel spurs. Our Plano, TX, Podiatrist Can Help You Keep Your New Year’s Resolution! According to Ben Franklin AND our Plano, TX, podiatrist, a proactive approach to foot care can prevent the worsening of foot conditions such as bunions, hammertoes, or toenail fungus. If caught early, most common foot problems can be treated less expensively – and less painfully – adds our experienced foot specialist. The information provided in this article is not meant to be medical advice and is for educational purposes only. If you would like to learn more about this and other topics related to podiatry, feel free to contact Dallas Podiatry Works, with a convenient podiatry office near Plano, TX, by clicking here or by calling 972.566.7474.